This was the question I got to discuss with enthusiastic participants last Friday when I presented my work and research with peace and Open Floor for the further education course “Konflikte transformieren und sich dabei weiter entwickeln (Transforming conflicts and developing oneself)” in Haus der Begegnung, Innsbruck. It was the last part of a 5 module course series that has been taking place from February until June this spring. My contribution was under the heading “Geschichte des Friedens – Stories of Peace”; a way to show some of the many possibilities for how peace work can be applied. 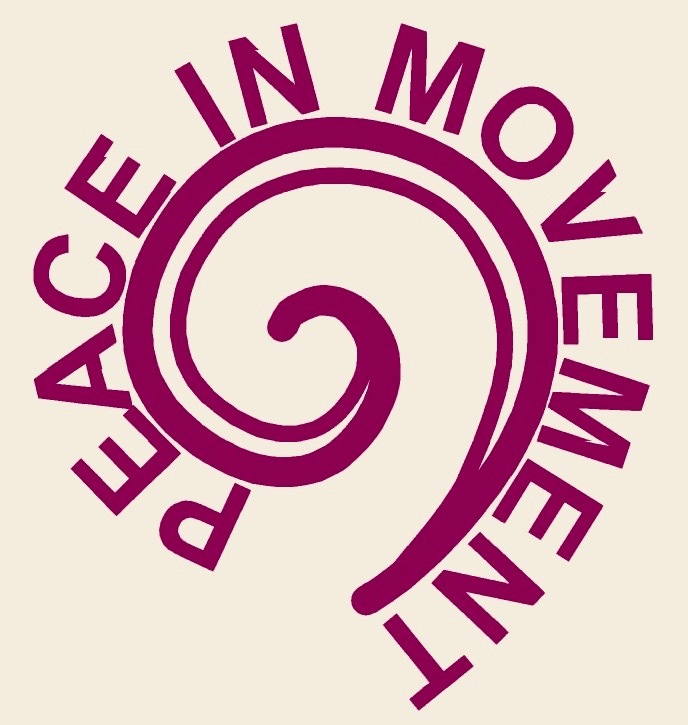 After presenting some of my work with Open Floor and peace for the participants – in both words and in exercises – I was honored to moderate a discussion table about the connections between inner and outer peace and conflict. I have to say: I am very inspired by the many ideas, stories, reflections and connections that where shared during those 90 minutes! One of the key topics we discussed was how we as humans can sense inner peace and conflict physically in our bodies. It reminds me of how we in Open Floor always anchor the practice from the physical layer, how we enter from a material aspect of our bodies as a way to also go deeper into emotional, mental and soul layers. In peace studies, we talk about the episode of a conflict: the graspable, concrete happening that expresses one part of the conflict, yet, which serves as the entry point into the more complex, hidden and less-graspable part of the conflicting picture as well. I wonder: if more and more people can learn to recognize just the basic physical signs for “I am experiencing peace” or “I am experiencing conflict”, how much more of a fruitful and stable base could we have to start working on transforming the conflicts that are actually there? I certainly believe that the basic, ‘simple’ practice of paying attention to the peaces and conflicts of our bodies does a whole lot in itself! Another topic we talked about this Friday is how it is not just inner peace and inner conflict that influences outer peace and outer conflict, but how it also goes the other way around. If we live in an unsafe, unstable and conflicting outer environment: how much more difficult is it to cultivate inner openness, trust, balance and peace? Maybe as a peace worker, as a teacher or just as a human being: the answer is not to work on either or – either the outer or the inner – but acknowledge how both parts play a crucial role and from there find a way to constantly create a balance that works for the context. I know for example that I as an Open Floor teacher place profound focus on facilitating personal experiences for my students. Yet at the same time, probably the most important work I do is creating my classes as a safe enough group space. Without this safe enough outer environment, I know that it would be difficult for my students to have the inner, personal experiences in the first place. There were so many more interesting points to mention from this Friday discussion, yet if I would write them all I will end up writing half a book. Instead, I will share with you some of the questions that came up from our talk. I find that sometimes asking the right questions is much more interesting and fruitful than finding the right answers. How do I feel it in my body when I need to move towards a conflict and when I need to move away? What are the different methods different people use to take a pause (taking a step back to reflect and rethink before (re)acting)? How does the pause change the way a conflict is met? Can too much inner peace also lead to a lack of action? Can we become so peaceful and comfortable that we stop acting for change in our surroundings? How can inner conflicts and discomfort be a motor/fuel for transformation and creativity? PS! The pictures are not actually from last Friday (as I sadly don’t have any), but are from other times and places of my teaching and life (thanks to Michael Deichert for taking many of them! ).